In Europe and the United States, job openings for professors are scarce. In developing countries, on the other hand, there is a high demand for academics with PhDs to strengthen universities. When my husband (from Ecuador, with a PhD from the USA) and I (Belgian, with a PhD from the Netherlands) were looking for a place to settle down, we thought our options through deeply. My husband looked at industry job openings in Europe, but the multitude of languages required for working in Northern Europe is a hurdle for international applicants. I looked at faculty openings in the part of the USA where my husband was working at that time, and the options were few and unattractive. Then, we considered my husband’s home country Ecuador, where professionals with PhDs are in high demand at the universities, and we would be living close to family. We decided to take the plunge, box up our stuff, and ship everything to Ecuador. Ecuador is a welcoming country for academics. The new rules for higher education institutions include, amongst others, increasing the number of faculty members with PhDs at the Ecuadorian universities. Job applicants with PhDs are thus attractive to hire. If you come to Ecuador, don’t expect to find established labs. Instead, be prepared to pioneer and develop your own labs, fund your software licenses, and start your own ties to the industry. Learn to be the entrepreneur of your research career. Share the knowledge you obtain abroad. Offer to speak at industry events, to the broader public, at schools, and at other universities. Bring attention to topics that may perhaps be lacking in popularity at the moment, to raise concern. Use the skills you learned during your studies to give back to your community at large. Volunteer for causes, with your technical knowledge– it is an element that is even important for the evaluation of the universities. Participate in technical committees of international associations. You may be the only researcher in your niche field in Ecuador, so you need to connect with your community outside of the country. Travel to conferences. Work with colleagues internationally. 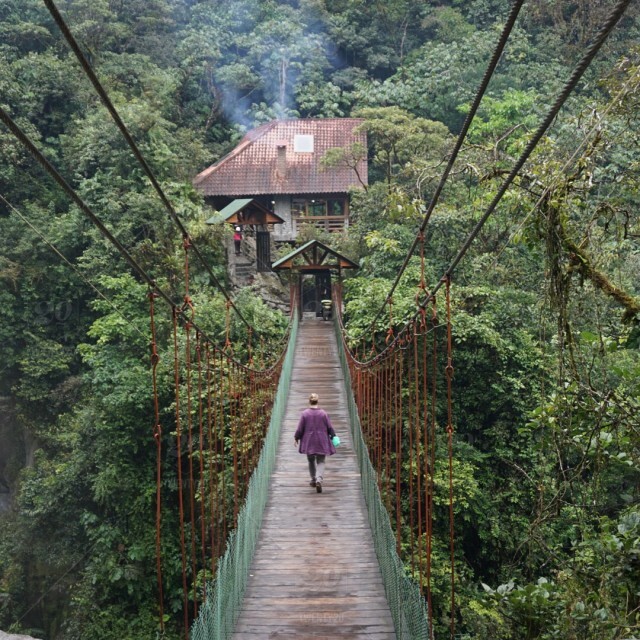 If you want to move your research career forward, and find that you have limited resources in Ecuador, see if you can become a guest researcher or even a part-time faculty member at a top-ranked university. Spend your summers doing research abroad, then bring your fresh knowledge back to Ecuador to share it with your students. The idea that you can only do research with graduate students is wrong. In Ecuador, virtually all higher education is at the undergraduate level. You can take on smaller projects with undergraduate students. It’s very rewarding to teach young students how to do research, and how to write a first paper for publication. Last, but not least: if you move to Ecuador, you are in a fascinating place. Take time to discover the country, taste the local flavours, and visit all the famous places that draw travellers from all over the world to this South American gem. Latin America presents some fantastic new opportunities for international researchers and academics looking to make the next move in their careers. At Global Academy Jobs, we work closely with academic and research organisations across the Americas and the rest of the world, on a constant mission to connect applicants with the most current international positions. We review thousands of job openings every month, across the entire spectrum of academic disciplines. To receive the latest job notifications direct to your inbox sign up to our mailing list. 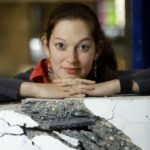 Dr. Eva Lantsoght is a Full Professor in Civil Engineering at Universidad San Francisco de Quito, Ecuador and a part-time researcher at the Concrete Structures research group of Delft University of Technology. She blogs at PhD Talk about her research and general academic topics and is the author of 'The A-Z of PhD Trajectory: A Practice Guide for a Successful Journey' Springer, 2018).